Come and view a spectacular display of children’s creative talents with over 100 paintings exhibited. 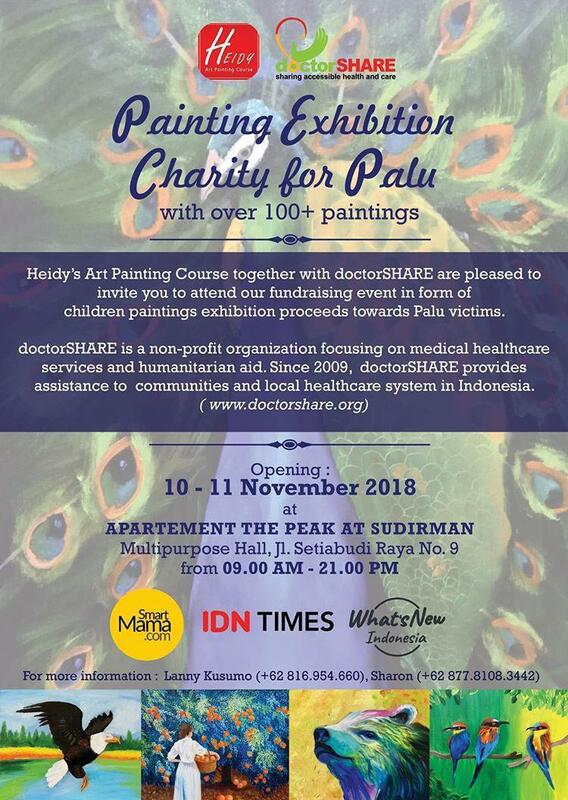 All proceeds will go towards Palu victims in collaboration with doctorSHARE. The funds collected will be used towards their upcoming floating hospital that will be launched in Palu very soon. Impact Investing : Is It Charity 2.0?